Past week we witnessed yet, once again a callous attack on a Synagogue in Pittsburgh. It is a cruel reminder of what happened in a Quebec City mosque two years ago. A poignant reminder that minorities, whether they be Muslims or Jews are being targeted by hate mongers, who often don’t even know why they are committing such a heinous crime, except hatred or based on fear. Their motivation almost always seemed to be coming from the political leadership’s divisive toxic rhetoric against immigrant and minorities. Our condolences to the loved ones of eleven victims who were killed in a place people often feel as a safe sanctuary – a place of worship. By all news reports accounts this may be the deadliest anti-Semitic attack in the United States history. One person, Robert Bowers, has been charged with 44 different counts and prosecutors will be seeking the death penalty. Regardless, whether a suspect has been arrested and charged. It is a little comfort for the families of eleven individuals who lost their lives and countless others who were injured in this brutal attack. There has been an outpour of support for the Jewish community across the continent in their hour of need, and across all spectrum. The Jewish community stood alongside with the Muslim community when a mosque in Quebec City was attacked. A reminder to all of us that despite our differences, at end we are all bit one race, a human race. We laugh when we are happy, and we cry when we suffer a loss. What we remember the most is who stood alongside with us in our hour of need. Most certainly, the Muslim community in the U.S. has certainly out done themselves in their show of support for the Jewish community of Pittsburgh, and for the families of victims. By Wednesday afternoon, Muslim crowdfunding campaign, “Muslims Unite for Pittsburgh Synagogue” to help support the victims and their families had reached US$200,000, with over 5000 people donating to the fund. The money raised will go to support the short-term needs of the shooting victims, paying for things like funeral expenses and medical bills, the website said. “The Muslim-American community extends its hands to help the shooting victims, whether it is the injured victims or the Jewish families who have lost loved ones,” the campaign’s website says. The crowdfunding was organized by a group promoting the teachings of Prophet Mohammed, Celebrate Mercy. The amount raised was immediately transferred to Islamic Center of Pittsburgh, their local partners, said Tarek El-Messidi, the group’s founding director. Mr. Wasi described the efforts of the Muslim community as a payback because shortly after 9/11 and during last elections the Jewish community had extended such services to the local Muslim community of Pittsburgh. 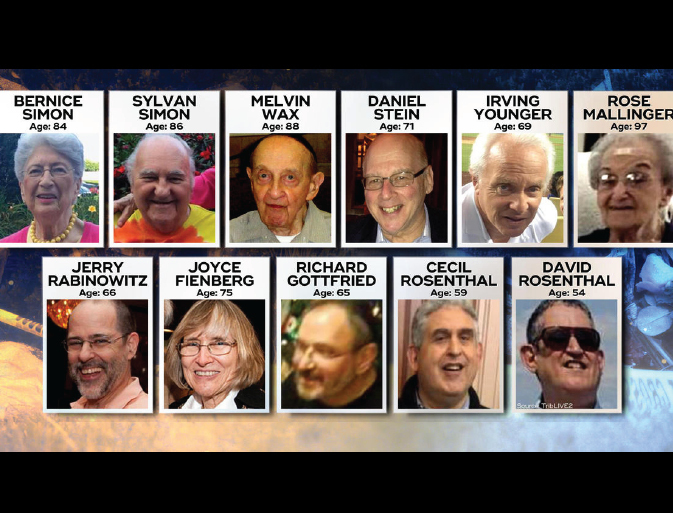 Shortly after the attack, according to Vox, “Eleven members of the Pittsburgh affiliate of Bend the Arc, a national organization for progressive Jews, penned an open letter to Trump on Sunday calling Saturday’s shooting, believed to be the deadliest anti-Semitic attack in United States history, the “direct culmination” of the president’s influence. “For the past three years your words and your policies have emboldened a growing white nationalist movement,” they wrote. Vigils are being held across the continent, including Vancouver to remember the victims. We encourage our readers to attend those vigils to show solidarity with the Jewish community, as they had shown after the Quebec City mosque attack. We encourage our readers to reach out to their fellow Jewish, may it be co-workers, colleagues, neighbours or friends and express their condolences. At times our own prejudices, biases, lack of knowledge prevents us from doing certain things. We should learn from the life of our beloved Prophet and try to act accordingly. The Muslim community has a long way to go to make people understand the true message of Islam. We are certainly not immune from such attack. The best way to counter ignorance is through knowledge, educating and informing those around us about the real teachings of Islam to better develop the understanding and prevent being a victim of such attacks. We keep reminding our readers to get involved with the local mosques, become proactive within and outside the local community, enhancing better understanding of Islam and Muslims. Once again, we extend our condolences to the families of eleven victims of the Pittsburgh Synagogue attack and we pray for a speedy recovery of other six individuals who were injured during the attack. MAKE due allowance for man's nature, and enjoin the doing of what is right; and leave alone all those who choose to remain ignorant.